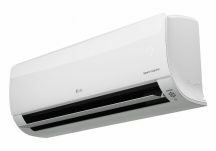 LG has launched a new range of wall mounted air conditioning units with a plethora of new features including embedded wi-fi, and compatibility with its multi-split range. In addition, the 10-year compressor warranty that already applies to its single split wall mount units is now extended to include the multi split range. The range includes the new outlook ARTCOOL Mirror, The Deluxe and the Standard Plus models. All units are A++ in cooling, and have added to the ranges existing high efficiency rating with A+ in heating, along with active energy control, and smart diagnosis. Artcool and Deluxe models are also equipped with Plasmaster™ Ionizer Plus filters. They are all quick and easy to install and operate from as low as just 19Db, offering fast heating and jet cooling. All three new units feature Embedded wi-fi so you can easily access your air conditioners by using smart internet devices such as Android or iOS based mobile phones – wherever you are and however many air conditioners you may have. 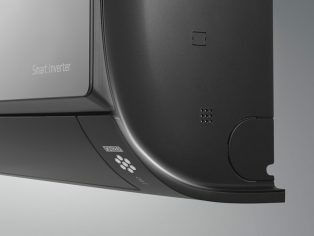 LG’s Active Energy Control adjusts the energy consumption level by controlling maximum frequency of the compressor motor. This allows you to select a default 100% available system capacity, to meet high load conditions, to 40% relative energy usage if the load is lowered in a situation such as where there are very few people in a room and very little activity taking place. 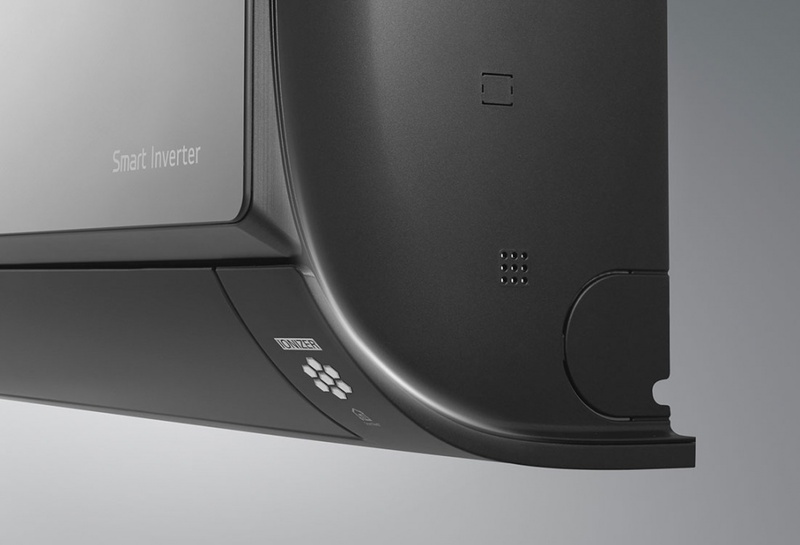 It simply offers in-built, remote energy usage flexibility. Smart diagnosis offers exactly what it says on the tin. It allows users to conveniently check set up, installation, troubleshooting and other related information direct from a smartphone. This is achieved by utilising LG’s ‘LG Smart ThinQ’ App. By clicking ‘Start Smart Diagnosis’ you can monitor and check diagnosis results conveniently via Wi-Fi. The Plasmaster Ionizer Plus filters available with ARTCOOL Mirror and Deluxe reduce harmful microscopic particles by infusing the air passing through the air conditioner with over 3 million ions. The simple effect is that the filters sterilise up to 99.9% of all bacteria and deodorize the air as well. If that wasn’t enough, LG’s unique technology with a larger skew fan and the outdoor unit’s fan create high efficiency cooling and heating and a 9-metre long power airflow from the units. The skew fan is 25% larger than previous models and the larger cooling outlet expels air farther and cools space faster than previous models without causing a draught.